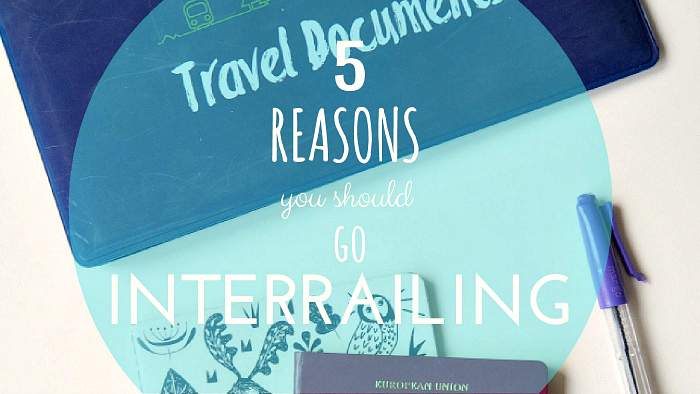 From the moment I learnt that Interrailing was a thing, I wanted to do it. I spent summers seeing Facebook friends post pictures of their interrail adventures and wanted in. My wish came true at the end of last summer when I headed off for five and a half weeks (yes, a very exact amount of time) to see what Europe had to offer. And, boy, did it offer me everything I ever wished for and more. This is probably the most obvious answer but it's true. Interrailling is one of my favourite trips to date. I was travelling with good friends, visiting amazing places and, of course, enjoying all the great European food! This is true for most backpacking trips. Especially if you stay in hostels. Most people are incredibly friendly and you'll meet people from around the world who have great stories to tell. It's also great to see how people live in their countries. We met an American girl who had been in a Sorority for a while at uni and it was really interesting to ask her whether they were like they're portrayed in tv shows! Europe is a lot different to Asia and while I'd experienced traveling in Asia I didn't know what to expect in Europe. For one, there's no tuk tuks! I think a lot of people assume that Europe doesn't have as much culture as Asia because it's a lot closer to home and a lot more similar to our own culture. However, Europe has plenty of culture to offer. It may not be quite the culture shock Asia is but that doesn't make it any less cultural, it's just a different kind. Ok, maybe not quite. But you'll only be taking one lot of flights or maybe no flights at all if you're taking the Eurostar to your first destination. Rather than jetting off for a number of weekend breaks you can do lots of them in one go! Do I even need to expand on this point?! Probably not but I will anyway just incase merely the mention of the word food hasn't persuaded you. You'll get to try a range of local cuisines. And ice cream. ALL the ice cream! If you fancy something a bit warmer then ALL the hot chocolate. And Europe does great hot chocolate. These of course aren't quite local cuisine but there's plenty of that on offer too!